Product information "HOOVER HLC10DF 10KG CONDENSER DRYER B RATED"
Sensor drying system uses sensors to monitor moisture and temperature levels inside the dryer and automatically stops when it reaches the chosen level of dryness you require. This appliance is equipped with One Touch Technology that allows you to interact, via an App, with smart phones based on android and IOS operating systems. Comes equipped with (NFC) Near field communication. Download on your smart phone the Hoover Wizard App. 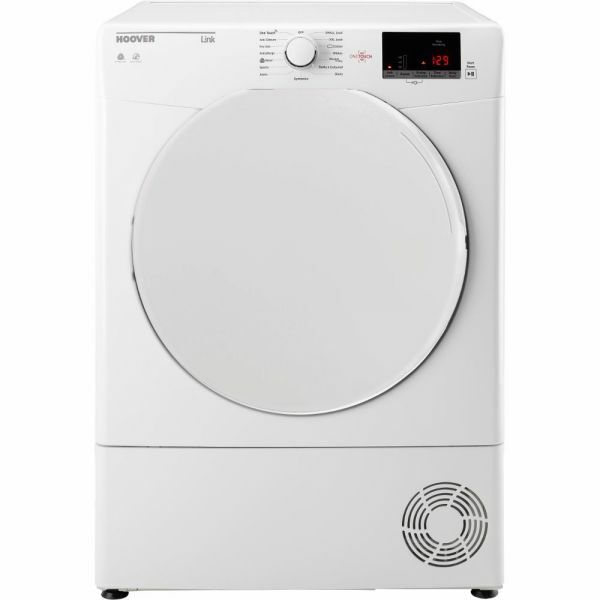 Related links to "HOOVER HLC10DF 10KG CONDENSER DRYER B RATED"
Customer review for "HOOVER HLC10DF 10KG CONDENSER DRYER B RATED"